In addition to the Damask Rose Everyday Skincare Collection, Crabtree & Evelyn recently introduced Damask Rose Daily Cleansing Foam as a new addition to this range of sensorial products with botanical-based formulas. Today I will be talking about my current favourite double cleansing routine that I have recently shared with my sister (which explains her being my hand model, I was killing two birds with one stone~). I know that many of you, especially those with dry/sensitive skin, have doubts in implementing a double cleansing routine for fear of ripping your skin off its natural moisture and causing more skin problem instead. Well, with the right products, a double cleansing routine is actually the best way to maintain beautifully clean and clear skin – especially if you tend to apply medium-heavy makeup on a daily basis, like me. The first step is to use an oil based cleanser to lift away makeup and impurities Damask Rose Comforting Cleansing Balm (90g, SGD$30) is a wonderfully scented beauty balm that melts with the warmth of the skin, gently lifting away impurities and cleansing the skin while soothing, softening and deeply moisturising your skin. Damask Rose Comforting Cleansing Balm is an interesting product that gently but effectively removes all traces of makeup whilst still keeping your skin soft and moisturised. I love how it is so gentle for everyday use yet still effective in doing its job! 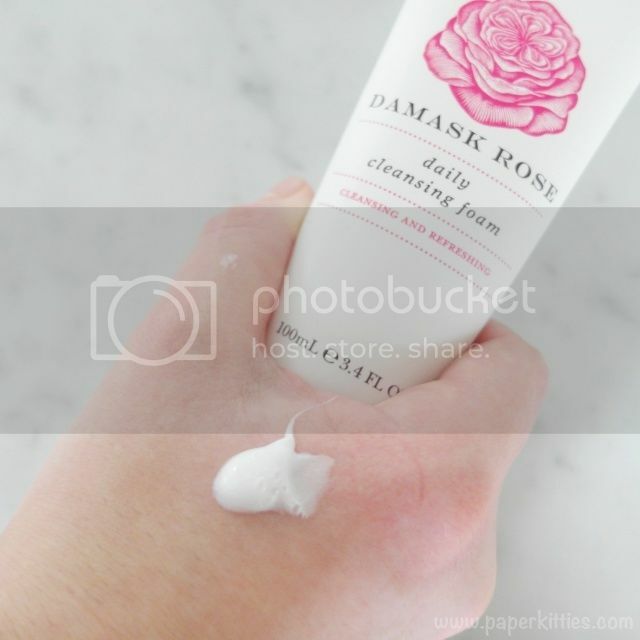 However, as its main purpose is to remove makeup and sunblock, the second step would be to add another cleanser to cleanse of all impurities and any remaining makeup/oil to purify your skin and leave it flawlessly clean.. with that, I would recommend you try Damask Rose Daily Cleansing Foam! Damask Rose Daily Cleansing Foam (100ml for SGD$28) is a gentle yet effective cleanser that creates a rich foam to remove dirt and impurities, leaving skin purified and cleansed. A blend of French damask rose, rose of Jericho and hollyhock works to moisturise, soften and leave your skin feeling refreshed, clean and comfortable. 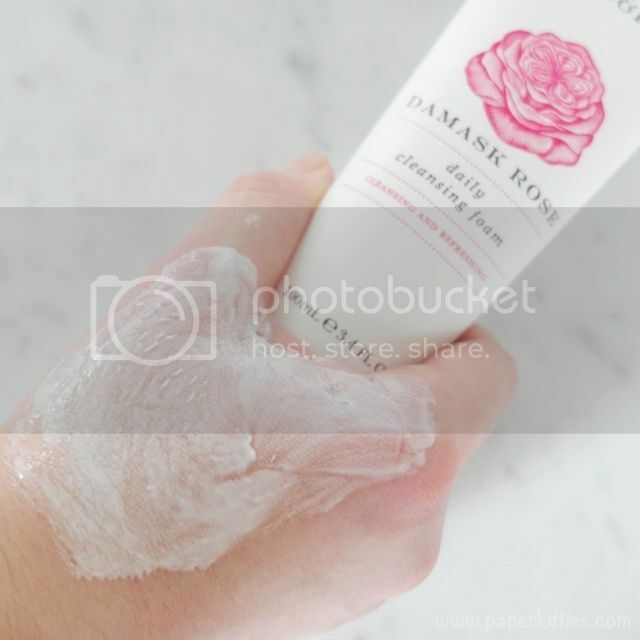 Damask Rose Daily Cleansing Foam can be used either as a one-step cleanser or as part of a double cleansing routine, I tend to stick to the latter after using Damask Rose Comfort Cleansing Balm. A gentle cleanser that creates a rich foam to remove dirt and impurities, I like how it leaves my skin feeling squeaking clean without feeling taut after each wash.
Next Post Holiday Inn Express IHG Members Exclusive!